The Mikroturn® machine seriesWith the Mikroturn® machine series you to make the most accurate and most wear resistant workpieces in the high precision industry. Hard turningHard turning is the most efficient and economical process for making high precision workpieces with complex contours. 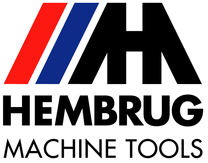 About HembrugHembrug Machine Tools designs, builds and sells worldwide the most accurate hard turning machines.